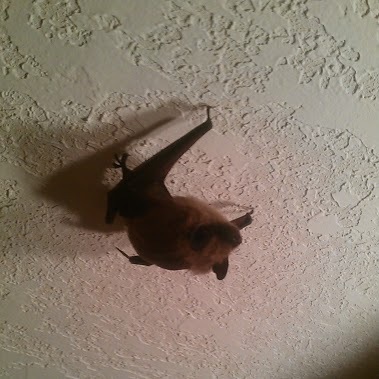 With over 24 years of experience, Skedaddle knows that seeing a bat flying around the living space is the most common way for a homeowner to discover they have a bat problem. Our specialists know that “bat season” has officially arrived when we begin receiving frantic calls in the middle of night from homeowners reporting a bat flying around their bedroom. These calls typically begin in late May and reach their peak in August when temperatures are at their hottest and bats are most active. Bat populations surge during the summer months when those bats born in June begin to take flight. Female bats will give birth to 1-2 bats each June and they will live together, separate from males, in nursery roosts during the summer. It is precisely during this time that bats begin making their way into bedrooms, kitchens and living rooms. Most homeowners who have awoken to the site of a bat flying overhead assume that it found its way into the home through and open door or window – especially during the dog days of summer. Often, it is not until the second, third or fourth occurrence that they begin to believe the problem may be more serious. Bats navigate using finely tuned echolocation that allows them to both avoid obstacles and locate insects. 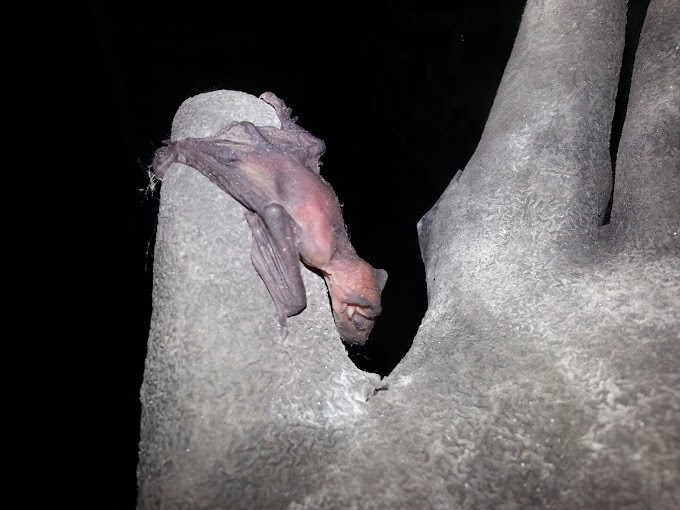 It is almost never the case that a bat would mistakenly leave the outdoors, where insects are plentiful on a summer’s night, to travel through an open door or window to the interior of a home. Bats know that there are far fewer insects to be found indoors. In most cases, a bat found inside living space of a home originated in walls or attic and has become lost. Upon learning that a colony of bats has made themselves at home in the attic, customers always ask, “How did they get from my attic into the house?” The answer comes as a surprise to most. It is not hard to imagine just how hot it can get inside your home’s walls and attic during the height of summer. Bats enjoy warm stable temperatures, but even they have their limits. As a nocturnal mammal, bats sleep during the day. As the temperatures inside your home’s interior rise during a summer day, the bats inside the walls will begin to sleepwalk downward in search of cooler and more comfortable temperatures. Unfortunately, once they wake up in the evening to feed, bats will find that they have traveled too far down from their usual roosting position and can no longer locate their entry and exit point. As they move inside the wall cavity in search of an exit, they often emerge into the living space of the home. Bats like these have traveled an unfamiliar path and have very little chance of returning back into the wall cavity they came from. The bat is now lost and disoriented. That’s why bats in homes are often seen flying seemingly endless laps around the ceiling. Seeing bats exit the attic to feed at dusk. Accumulations of bat droppings on the ground or exterior walls, especially below entry points. Brown staining left behind by bats on siding, soffit and aluminum trim. A bat’s fur is very oily and will leave a mark on building materials over time. This oil also allows them to slide into tiny openings with ease. Smell – bat feces and urine can produce an overwhelming odour, especially in homes with large colonies or long standing problems. Sounds – scratching, clawing and squeaking inside walls or ceilings as bats move at night or early morning. Many people mistake the sound of bats for mice. Fortunately, Skedaddle has specialists available 24 hours a day to ensure that you are not left alone to handle a potentially rabid bat. Our specialists will arrive day or night to locate and capture a bat inside your home.